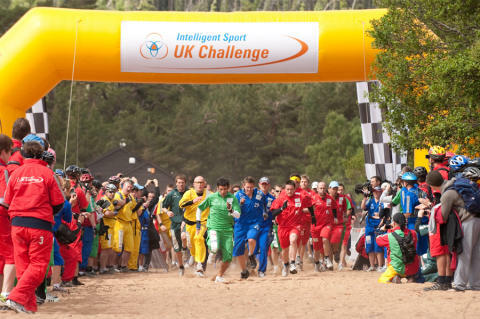 The UK Challenge is an epic, adrenaline fuelled adventure. The EMC teams will go head to head with 68 other teams, each being tested intellectually, strategically and physically in a bid to complete a series of missions in the least amount of time possible during the three day, three night event. Missions could involve navigating through forest by torch light, kayaking through wide open lakes or cycling through woodland trails, all in a bid to reach checkpoints where teams will have to solve puzzles and decipher codes. EMC have chosen to support Tree of Hope. A few weeks ago, the brother of one of the EMC team, James Taylor was tragically killed in a car crash. James did a huge amount of work for Tree of Hope whose aim is to raise money so very sick children can get operations they desperately need. James specifically worked to help a child called Zakk. Tree of Hope needs to raise £60,000 to help Zakk receive the treatment he needs. Team EMC would like to help raise as much money as possible to help Zakk reach his dreams.